Amazon.com Price: $129.00 (as of 21/04/2019 19:49 PST- Details)	& FREE Shipping. 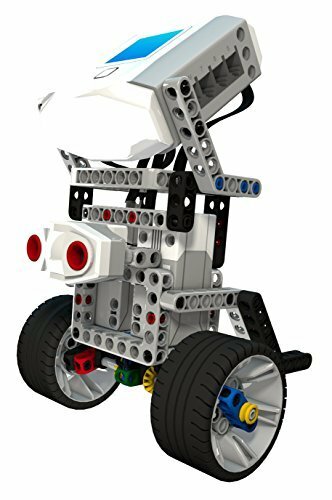 ✔️ BUILD AMAZING ROBOTS — Discover the wonder of building, programming and bringing all kinds of robots to life. ✔️ PLAY AND SHARE — Share fun, engaging projects and games that sharpen minds while bringing parents, kids, and children together. ✔️ LEARN THROUGH EXPERIENCE — Better understand and apply first-hand the fascinating technologies shaping our future. 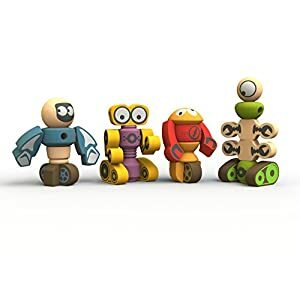 A fun, easy, interactive way to learn robotics for kids and parents! 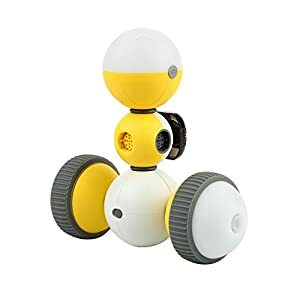 A complete robotics kit that provides a fun, hands-on way for kids and parents to explore the world of robotics as it relates to self driving vehicles. Self driving vehicles are incredible feats of technology, engineering and programming. 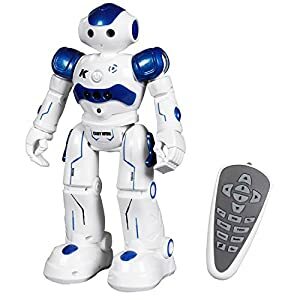 Learn all about them as you build and program unique robots, play fun games and activities and enjoy hours of entertaining content with this one-of-a-kind robotics kit. See first hand how self driving vehicles work. Connect robot technology to the world around us. Build, program and enjoy a variety of robots and games. Advanced android-based computer “brain” with touchscreen. Five plus unique and engaging products keep the fun going. Premium quality product that offers children an incredible learning experience using the kits cutting edge technology. 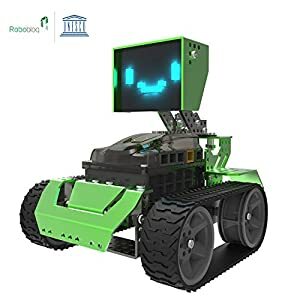 ✔️ COMES WITH MANY BUILDS — A complete robotics kit with over 400 versatile pieces and components that provides a fun, hands-on way for kids and parents to explore the world of robotics as it relates to self driving vehicles. ✔️ WAY MORE THAN A TOY — No robotics or programming experience needed! Hours of fun, engaging, age appropriate content. Easy to follow instructions guide you through every step. Amazon.com Price: $199.00 (as of 21/04/2019 19:52 PST- Details)	& FREE Shipping. Amazon.com Price: $21.94 $21.93 (as of 21/04/2019 19:48 PST- Details)	& FREE Shipping.